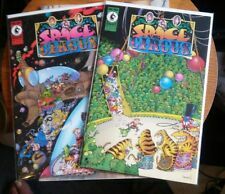 SPACE CIRCUS 3 ...NM-...2000....Sergio Aragone! ...Bargain! ASTOUNDING SPACE THRILLS #3 STEVE CONLEY IMAGE 2000 NICE!! !